June 7, 2016 Gary GambleDirectors, movies, NEWS, upcoming releases to watch out for . It has been 20 years since Danny Boyle adapted Irvine Welsh’s novel and released his classic movie, Trainspotting . Now, 2 decades later the full cast are back for the sequel that we didn’t see coming, but can’t wait to get here. Danny Boyle and crew are now shooting the sequel, and The Daily Mail got an exclusive (sneaky leak) on-set photo which shows , Mark “Rent Boy” Renton and Simon ‘Sick Boy’ Williamson back in action. Sick Boy still seems to be lost in 1996 – he still has the bleached blonde hair, and what are those shoes he wearing?. 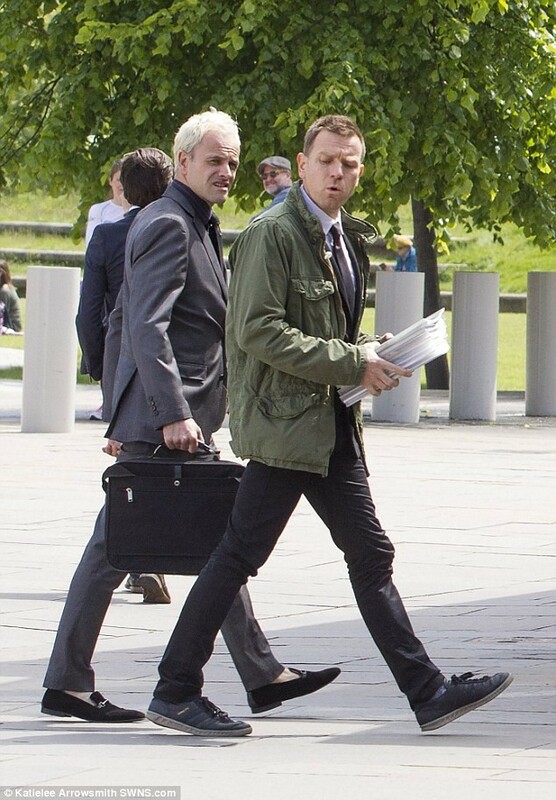 Renton is wearing a suit but also a pair of skate shoes and holding a ton of paperwork outside the Scottish parliament building in Edinburgh. Ewan McGregor as Mark “Rent Boy” Renton, Jonny Lee Miller as Simon “Sick Boy” Williamson, Robert Carlyle as Francis “Franco” Begbie, and everyone’s favourite shite-slinger, Ewen Bremmer as Daniel “Spud” Murphy are back. The sequel will hit theatres end of January 2017 with the U.S getting it early the following month.